Artistes That Left TVB in 2018: Who Will Be Missed the Most? In 2018, more top artistes continued to leave TVB due to life changes or desire to find greater opportunities elsewhere. Among the major artistes that decided to not renew their contracts, who will fans miss the most? Three-time TV King, Roger Kwok (郭晉安), ended his contract with TVB in May and chose to sign with Wong Cho Lam’s (王祖藍) company instead. Roger began his acting with TVB in 1986 and has starred in numerous dramas. He is well known for his lead role in Square Pegs <戇夫成龍>, Life Made Simple <阿旺新傳>, and Black Heart White Soul <忠奸人>. He has left TVB before in 1996 before returning back a year later. In a previous interview, Roger shared that he wants to transition to the Mainland Chinese market and that Wong Cho Lam can help him with connections. Though his contract is over, fans can anticipate his TVB drama Big White Duel <白色強人> in 2019. He also commented that he would return to TVB to film one drama a year under a per series contract. Linda Chung (鍾嘉欣) entered TVB after winning Miss Chinese International 2004. In her 13 years at TVB, she became very popular and left a positive impression among her viewers. Countless fans consider her to be their Best Actress. In 2016, she announced her marriage to Canadian chiropractor, Jeremy Leung, and has been focused on raising her two children in Vancouver. This March, she officially announced leaving TVB, but occasionally flies back to Hong Kong for promotional events. Eliza Sam (岑麗香) not only won Miss Chinese International 2010, but also the hearts of many viewers with her cheerful image. In 2016, she married Canadian-Chinese boyfriend, Joshua Ngo, in Vancouver and the couple moved to Hong Kong so that Eliza could continue her acting career. This June, Eliza’s contract with TVB ended and she signed under Wong Cho Lam’s company. Recently, she announced that she is pregnant, so the 34-year-old actress will likely slow down her career next year to take care of her baby. Rosina Lam (林夏薇) graduated in 2009 from the Beijing Central Academy of Drama and signed with TVB in 2011. She starred in numerous dramas including Burning Hands <乘勝狙擊>, Daddy Cool <逆緣>, and upcoming drama Our Unwinding Ethos <十二傳說>. Even after her marriage to businessman Jason Mok (莫贊生) in 2015, she still continued working. In July, she chose to leave TVB after her contract ended to spend more time with her husband and rest her body for potential baby plans. She hopes to return to TVB again with a different partnership. Jason Chan (陳智燊) entered TVB in 2006 through their annual TVB Artiste Training Class. With his English fluency, he began hosting on lifestyle program, Dolce Vita <港生活·港享受> and then transitioned to dramas. His most noted role was for his 2012 drama Missing You <幸福摩天輪>. This July, he announced leaving TVB after 12 years. He mentioned that he would really miss the company, but hopes to expand in other aspects of his life. He and his wife, Sarah Song (宋熙年), have a YouTube channel and share vlogs about their lives and love for food, travelling, and cars. Recently, the couple welcomed their baby son, Damon. Benz Hui (許紹雄) graduated from the 1st TVB Artiste Training Class and worked for TVB for 47 years. He has participated in numerous TV dramas and films as a supporting role, but his acting has received countless praise. This February, Benz ended his contract and moved to Singapore with his family. Before leaving, he filmed The Defected <鐵探> and Wonder Women <多功能老婆>. As well, he also films in Mainland China and has accumulated a huge fan base there. Florence Kwok (郭少芸) entered the industry as a finalist in Miss Hong Kong 1992. Filming many dramas, Florence is most known for her role in Come Home Love <愛·回家> as the witty aunt. In 2001, she left TVB to invest in the restaurant business, but returned in 2005. This July, she announced that she is leaving TVB for a bit to explore film opportunities before coming back in September. Raymond Chiu (趙永洪) also graduated from TVB’s Artiste Training Class and has filmed over 100 dramas in supporting roles. He gained recognition for Best Selling Secrets <同事三分親> and The Exorcist’s Meter <降魔的>. This March, he signed with another company to focus on the film industry. 27 comments to Artistes That Left TVB in 2018: Who Will Be Missed the Most? Obviously Benz, Florence and Raymond Chiu will be most missed since they are essential support for the current terrible leads. Roger has lost his spark in recent years so won’t be missed. The excuse that Wong Cho Lam will help him mainland connections is just greed. Roger although not a massive name has enough to gain acting roles in mainland without anyone’s help. He just wants access to easy money on variety shows that Wong Cho Lam can help him with. He is welloast his peak…. @jimmyszeto I would have to disagree with you. Finding connections does not mean that you are greedy. In this world, many people find their careers and jobs through connections, and it doesn’t matter how high up you are in your position. A lot of times, connections will get you in better jobs than if you don’t have connections. That is the reality of it. I have gotten a couple of jobs that I probably would not have gotten because of connections. And I know many people who are the same. I meant that Roger can easily find jobs himself but he is aging and is looking for easy payouts rather than work hard. Some people call that greedy, some call it smart. I’m going to call it greedy…. @jimmyszeto @kokomo being greedy isn’t always a bad or negative thing as long as he’s not hurting or cheating anyone. The greedier one is Wong Cho Lam here. He’s taking in A LOT if TVB casts… Wonder if he can or has the ability supporting them all. Well, when you got it, taunt it! I’ll miss the vets but it’s time for them to move on. TVB is in the drain. Wouldn’t mind seeing them in other medium with better script, character, so forth. @jimmyszeto True that Roger can probably find jobs but having connections is not bad. And having connections to help you get certain jobs doesn’t mean that you are getting easy payouts. If you get a job, you still need to work hard for that job. And Roger has never been lazy about his work. He has worked for TVB for so many years and he has put in a lot of effort in all his work. And Roger is already 54 years old so it is natural and not unreasonable for him to find lighter work. If I reach 54, I wouldn’t want to have to work that hard as well. @jjwong I agree that WCL is taking in a lot of TVB people but I think a lot of them are his close friends or his wife’s close friends. So hopefully he can deliver what he promised to them. Ok. After serving as TVB’s longest leading actor, I agree that Roger deserves a rest and a retirement fund. I don’t think anyone who signs with Wong Cho Lam expects any quality work. Just a quick payout before retirement. You only have to look at his roster of signed artistes….. I will miss Roger and Benz the most. Both are great actors, but at least Roger is coming back to film one drama a year. So not all hope is lost. I’m also looking forward to watch him in Big White Duel. Not sure if I will miss Roger or Benz but I will definitely NOT miss Linda Eliza Florence Jason. Praying hard that Linda and Eliza will never ever return to film a TVB drama even as a guest or supporting role. @jimmyszeto Not that I won’t be missing her becos she’s a bad actress but you’re right that she’s being typecast. However I do recall that she was cast as a housewifey c-9 type in Wax and Wane (I think that is the title) as Sunny Chan’s wife and I just couldn’t get used to seeing her in that role, she looked and acted too awkward. In Wax and Wane, I think Florence simply got bored playing the goodie weak wife role. She isn’t familiar with scenes that require barely any acting. A very underrated actress…. @jimmyszeto Not necessarily. Maybe she’s just a one-note actress who can’t portray anything beyond strong office lady or wicked concubine. The only one I’ll miss is Benz, though I’m not too worried, as he’s so prolific and in demand that we will likely continue seeing him on screen for a long time to come. Roger I won’t miss because he technically isn’t “leaving” — sorry, but I don’t consider filming 1 series a year under per series contract actually “leaving,” plus the fact that Wong Cho Lam’s company is partly funded by Shaw Brothers (aka TVB), to me that means he’s still affiliated with TVB even if partially. Raymond Chiu is actually a decent actor but seeing how TVB only gives him “ke le fe” roles, he’s better off pursuing outside opportunities. Never was a fan of Florence, but she can definitely act and is probably the only one out of this list whom we can call an “actress” (though for me, to put her on a list with the likes of Linda and Eliza, both of whom can’t act to save their lives, it’s offensive to say the least). @llwy12 Agree! I’ll miss Benz too but not him with TVB. I thought Benz already left in 2017. Lol. Gonna miss him, Florence (aka queen of sitcoms). Roger… I like him but his recent roles haven’t been great. I think after “Black Heart White Soul” he keeps getting the manipulative villain role. Rosina left just as she’s getting promoted to lead actress. Bad move girl. Well Linda was basically gone after she got married. Eliza did look really skinny (the unhealthy kind) in recent years so she deserves a break. And we deserve a break from her. I liked Raymond during his sitcom era but I didn’t like his performance in Exorcist at all. I’ve seen him in some movies and I think he does alot better. Going to see many of these freelancing in internet dramas anyway. Maybe not Linda and Eliza because net dramas usually look for quality actor/actresses. Certainly not Jason. Doubt he will be in demand anywhere…. Not going to miss much since it’s either the same role over and over or no acting skills. Definitely will missed Benz, Roger, Raymond and Florence. I wonder if Florence had left tvb after she finished filming Another Era? I remember she’s in that drama too accept she’s not on the screen that much for that drama. Not going to miss Jason for sure. Not missing Linda and Eliza though I don’t dislike either, however as actress, both of them aren’t good. Wish them the best. 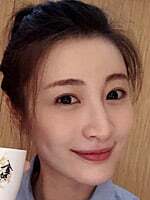 Wish Grace Chan can join them to focus on family, she is a turnoff onscreen. Raymond is quite a decent actor, unfortunately, doubt he will get his chance in TVB. Going to miss the rest, especially Benz. Roger’s recent roles have been forgettable so perhaps it is also best for him to seek opportunities elsewhere. Even Wayne is starting to participate in Chinese production. Besides, TVB working hours have always been notorious and Roger isn’t getting young anymore. Starting to warm up towards Rosina. At least she is a better actress than those new Miss HKs. Benz is one of my favorite actors and has managed to stay relevant through the times. I didn’t realize he was from the 1st TVB class AND have been with them for 47 years! 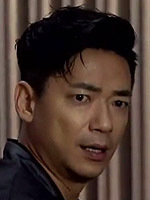 But come to think of it, I remember him in the 80s Condor Heroes series, 90s Breaking Point with Leon Lai, and more recently as the cool gangster/undercover Cham Foon-Hei. I will definitely miss watching him! I believe he came from a fairly affluent background so he was definitely acting for the fun of it. Will definitely check out these two series he filmed! Roger but technically he is not leaving for good. I would miss Benz. I like Roger too but he will still be around. Will miss Roger. Watched him for decades. He can equally act roles as good or evil.